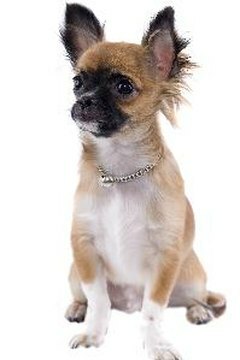 Chihuahuas may live up to twice as long as many large-breed dogs. While life expectancy may vary from one dog breed to another based on a variety of factors, some breeds are prone to fewer life-threatening health problems than others. If you want to avoid the hassle of high vet bills and the heartache of losing a dog prematurely, consider adopting one of these breeds. Though no in-depth studies have been conducted, some animal health professionals are of the opinion that mutts are typically healthier than purebred dogs. While the word "purebred" might suggest careful breeding and thus a decreased susceptibility to disease, purebred dogs may actually have a greater risk of developing serious congenital conditions like hip dysplasia and heart disease than mutts do because they're more at risk of interbreeding, or breeding within a closed population. Because purebred lines are sometimes achieved this way, hereditary conditions have a greater chance of being passed along. Mutts, because they do not possess a significant amount of purebred genetic material, are less likely to be inbred and less prone to developing these conditions. Chihuahuas are one of the smallest breeds of dog, typically weighing no more than 6 pounds. These dogs have been known to live more than 15 years and, though they may be prone to hypothyroidism and patellar luxation, those from reputable breeders typically don't develop these conditions. Bichon frise dogs are also a healthy breed. The health problems these dogs are prone to developing, such as allergies and watery eyes, are typically not life-threatening. An Australian cattle dog holds the record for the longest lifespan: 29 years. These dogs are a healthy, active breed that is not affected by many inherited health conditions. The most common health problem seen in these dogs is progressive retinal atrophy. Another medium-size breed that doesn't tend to require much veterinary care is the border collie. These dogs are a hardy working breed that may be prone to hip dysplasia, but careful breeding can help reduce the risk for this disease. Known for their sleek appearance and great speed, greyhounds are also known for being a breed relatively free of major health problems. Some of the most common health problems to afflict this breed are dental issues, but these are easily remedied with regular brushing and a healthy diet. Poodles are another breed that tend to live fairly long, healthy lives -- the typical lifespan of a poodle is between 10 and 15 years. Though these dogs may be prone to developing hip dysplasia, pre-breeding health screenings have greatly reduced the risks for this disease. WebMD: Average Dog Lifespan: Which Breeds Live Longest? Vet Street: The Great Debate: Are Mutts Healthier Than Purebreds? How Long Is a Dog Expected to Live?